You are here: Home > Message Boards > Issues after Delivery > Postpartum Haemorrhage >What is a Post Delivery Haemorrhage? Postpartum Haemorrhage:What is a Post Delivery Haemorrhage? What is the post delivery haemorrhage? How is the definition of post delivery haemorrhage different in vaginal and caesarean delivery? What are the symptoms of post delivery haemorrhage? What is the post delivery haemorrhage? How is the definition of post delivery haemorrhage different in vaginal and caesarean delivery? What are the symptoms of post delivery haemorrhage? Sudip Sehgal replied. Postpartum hemorrhage differs in vaginal and caesarian delivery. In case of vaginal delivery, loss of 500ml of blood or more while in caesarian delivery loss of 1000ml or more is termed as PPH. This condition mostly occurs 24 hrs after delivery. Parag Sondhi replied. After delivery, there is some amount of bleeding which is just normal. it is due to contraction of the uterus. 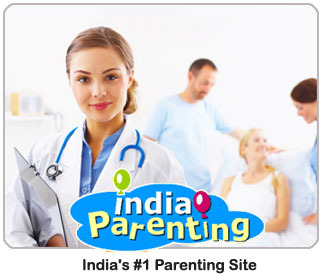 But if the bleeding does not stop or there is much of blood loss then it is known as postpartum hemorrhage. This poses threat to the life of the mother or may create complications. Postpartum hemorrhage differs in vaginal and caesarian delivery. In case of vaginal delivery, loss of 500ml of blood or more while in caesarian delivery loss of 1000ml or more is termed as PPH. This condition mostly occurs 24 hrs after delivery. After delivery, there is some amount of bleeding which is just normal. it is due to contraction of the uterus. But if the bleeding does not stop or there is much of blood loss then it is known as postpartum hemorrhage. This poses threat to the life of the mother or may create complications. Postpartum hemorrhage is one of the leading causes of maternal mortality. This can be prevented by providing proper care to the mother. Without proper medical attention, there is a risk to the life of the mother.